In collaboration with the Northeast Regional Center for Excellence in Vector Borne Diseases, we are developing an R0 model to predict human risk of infection with Aedes albopictus-borne pathogens in the northeastern US. The model will be informed by regional climate and environmental data, Aedes albopictus abundance, as well as parameterized results from vector experiments. 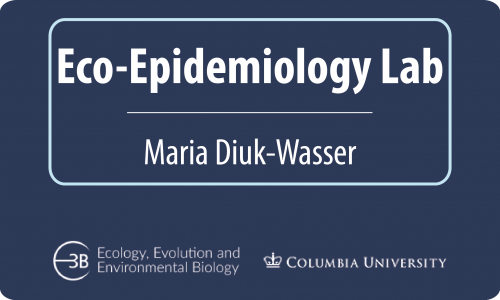 Our newest area of research explores the dynamics of landscape change, urban growth, and Aedes-borne diseases in Colombia. 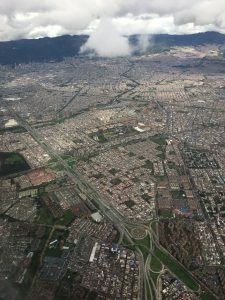 This summer we are working in Cali, Colombia to understand the urban dynamics of Aedes albopictus mosquitoes. The Ae. albopictus mosquito was first detected in Cali between 2006 – 2007, however the distribution and co-occurrence with Ae. aegypti mosquitoes remains unknown. Using field surveys, we will look at how the distribution of Aedes albopictus mosquitoes varies by human population density and proximity to vegetation within the city. Information from this study can be used to support vector control decision-making in Cali. Using both night light and high resolution satellite imagery, we are also exploring how changes in urban structures over time are associated with mosquito abundance and cases of Aedes-borne disease. Stay tuned as these projects continue to develop!